“NO! THIS IS NOT A LEGAL DOCUMENT.” ja! That ‘s what I have to tell people when they ask for my pizza dough recipe and I hand them a copy or send them an email attachment. I know it’s long, but it’s worth the time. I have been involved in sports throughout my whole life. I play tennis, golf and volleyball. I also love to swim and am a yoga fan. 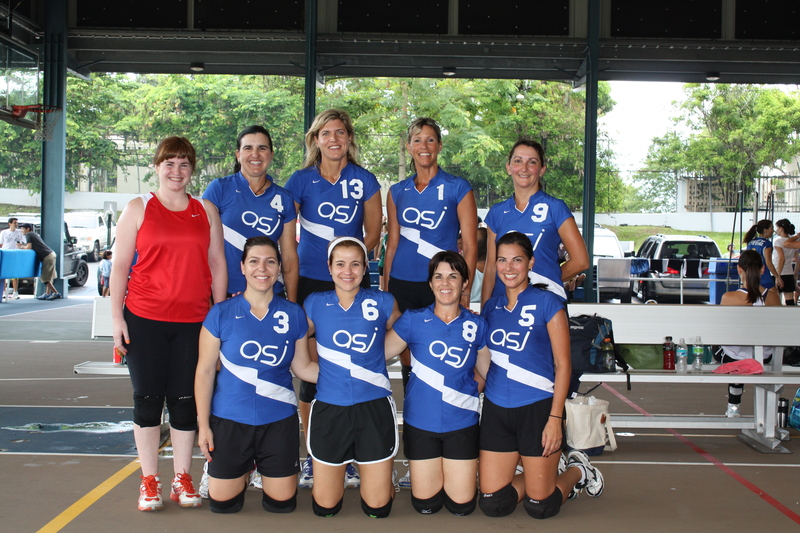 A few months ago I invited my volleyball team mates (group of oldies but goodies!) to my house and we had a bbq pizza party. The pizza dough takes some time to make but homemade pizza is the best! Each of them made their own pizzas and I had a variety of toppings available to suit everyones’ tastes. 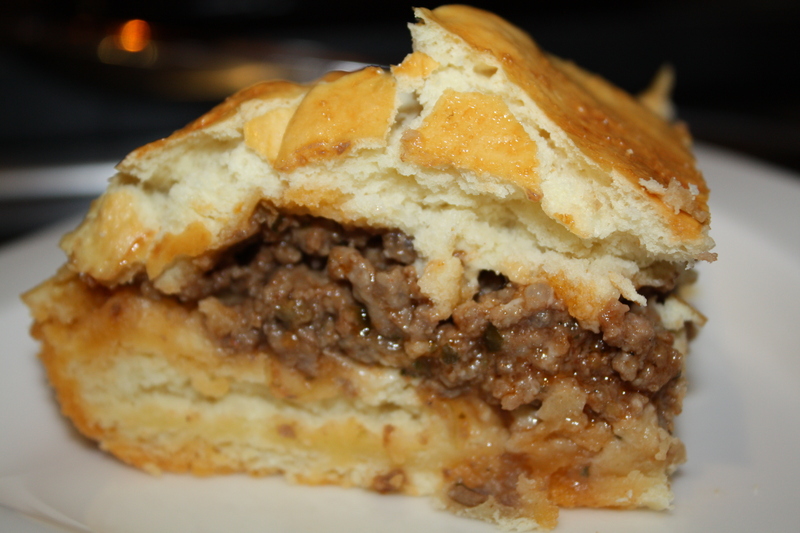 You can make it in the oven or in the bbq (my favorite!!!). I must mention that my brother Joaco has become an expert at this craft. His bbq pizza parties are legendary! The most important thing is to heat the pizza stone at 450-500º at least for 45 minutes before starting to cook. I have been making this recipe for the past five years. It is adapted from a recipe I found in http://www.theartisan.net. For those of you interested in culture and history, what we consider in America to be basic pizza (a pie with tomato sauce and mozzarella) is not in Italy. If you wish to order this kind of pizza in Italy you will have to say Pizza Margherita. This kind of pizza became popular when Queen Margherita, wife of King Umberto I, visited Naples in 1889. She noticed the poor and peasant people eating flat bread with different toppings and became curious. She summoned Raffaele Esposito, a pizza-maker from Naples, to make different pizzas for her to choose from and she chose this one because it had the colors of the Italian flag (red-tomatoes, white-mozzarella di buffala, green-basil). Word spread throughout her kingdom about how much she liked to eat pizza. Before this moment, pizzas were only topped with a white sauce, spices or vegetables. It is believed the greeks made the original version of pizza, a flatbread topped with olive oil and spices, which Italians adopted and improved. Of course, in the beginning tomato was not the main ingredient of pizza because tomatoes are native of the Americas like chocolate and corn. Today, they use pureed uncooked San Marzano (plum) tomatoes and fresh mozzarella di buffala. In Naples the crust of the pizza is thicker than in Rome because they add more ingredients like whole cherry tomatoes and fish and sometimes liquid ingredients like egg. Also, if you buy pizza from a pizza stand they will sell it to you by the kilo. 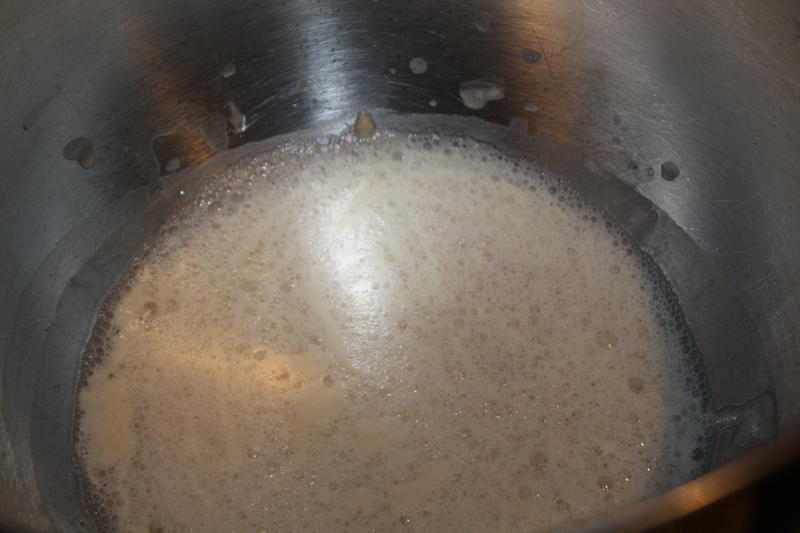 To make starter, dissolve yeast in warm water and allow to stand for approximately 5-10min. 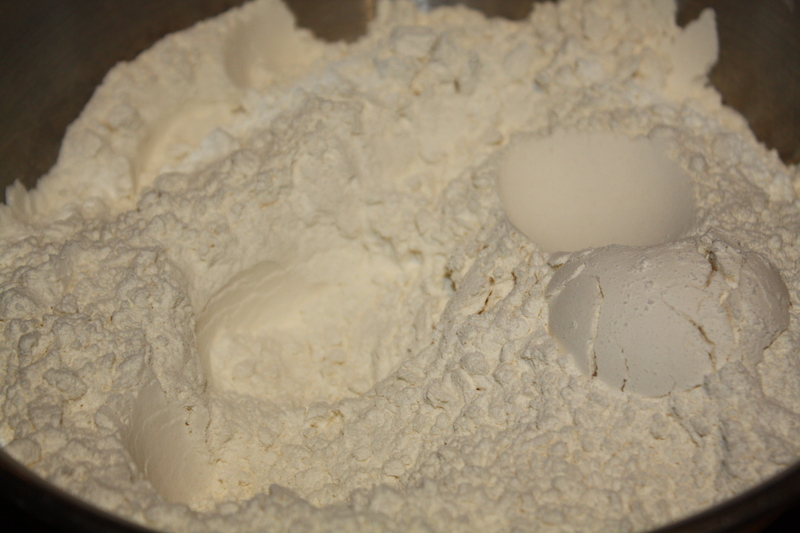 Add flour and mix until flour is absorbed. 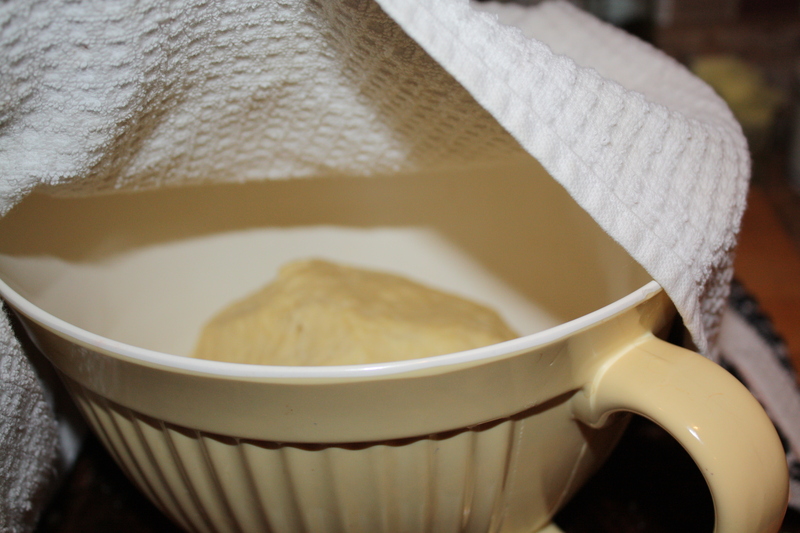 Cover starter with a cotton towel and let stand at room temperature for 1 hour. For the dough, mix the the salt with the flour. 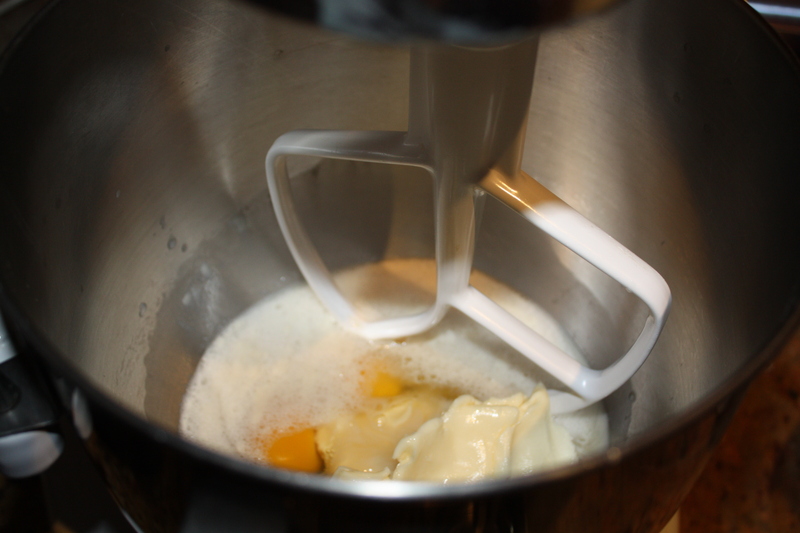 Place the starter mix in an electric mixer with the dough hook and add the additional water. The water should be at room temperature. 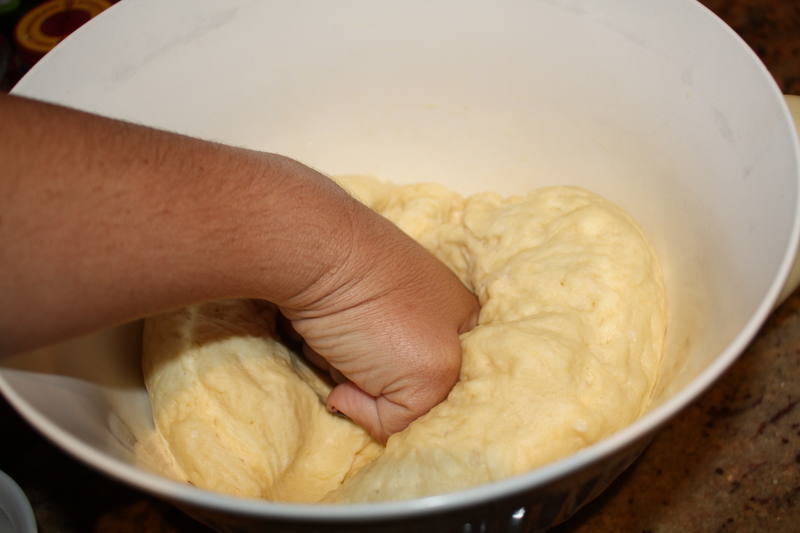 ( If you don’t have an electric mixer you can do this by hand) Add the flour/salt mixture and continue to mix the ingredients to the consistency of a soft dough. Once, everything is incorporated finish kneading by hand with additional flour for hands until smooth and elastic. 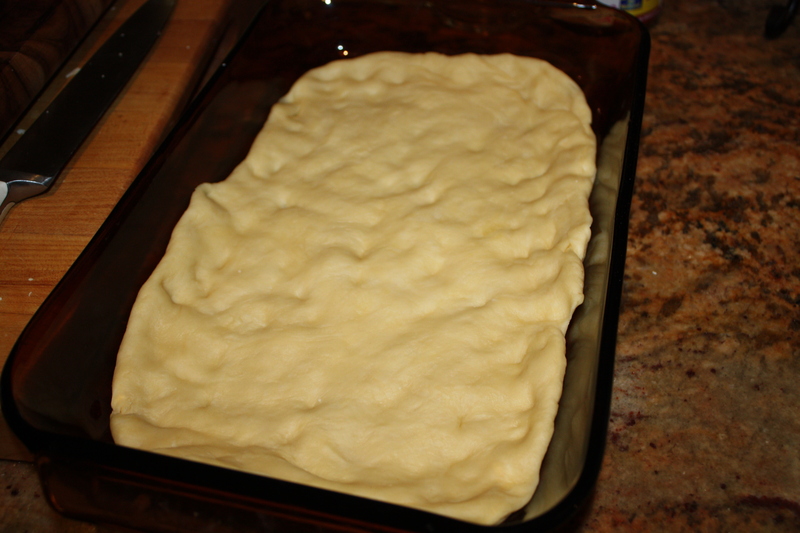 Divide dough in three portions. Shape into a ball. Dust a board with flour. 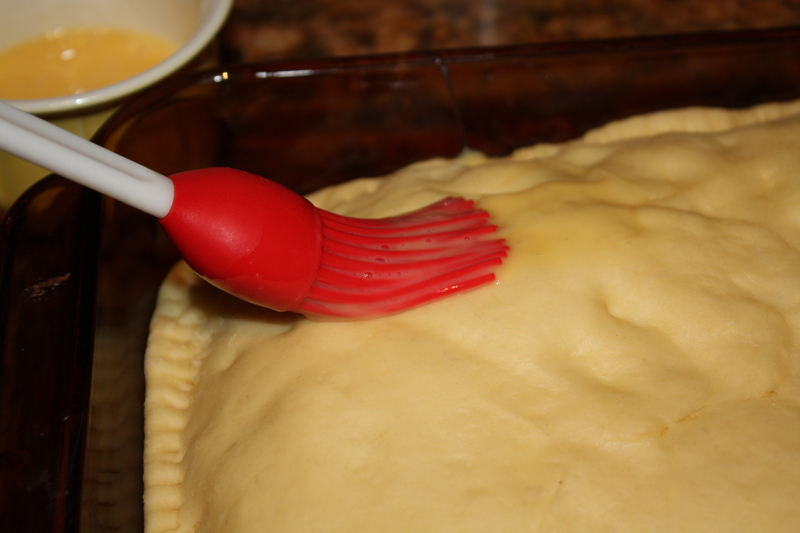 Place the 3 portions of dough on the dusted surface. 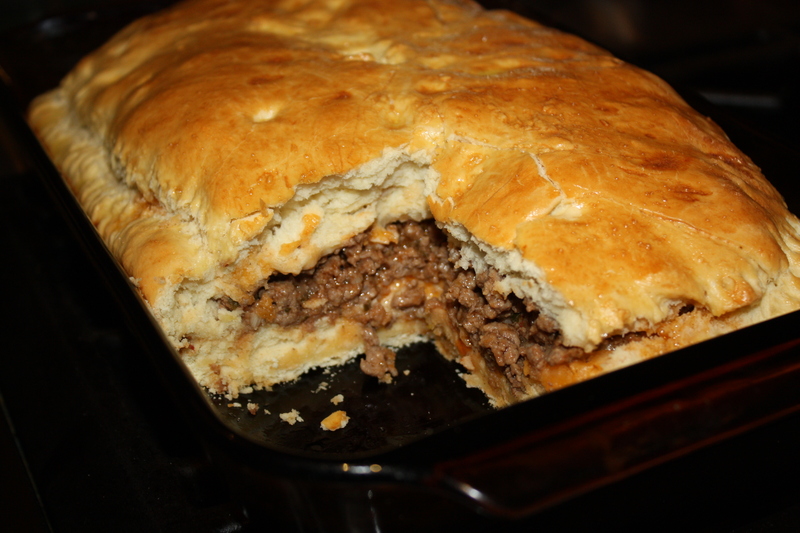 Cover with cotton or linen towel and allow to rise until double their original size approximately 1 ½ – 2 hours. After this stage, depending on when the kneaded portions will be used, they can be wrapped individually in plastic and placed in a plastic bag in the refrigerator for several days or frozen up to 2 months. If so, allow the portions to come to room temperature before rolled out and used. 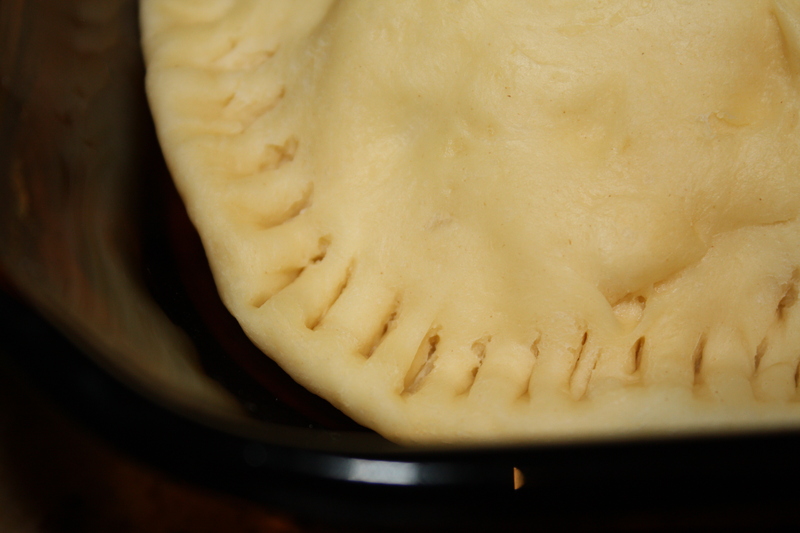 Fold the edge of each portion of the dough toward the center, kneading it gently while maintaining a round shape. Place each portion into a floured work surface. Work with each portion individually. 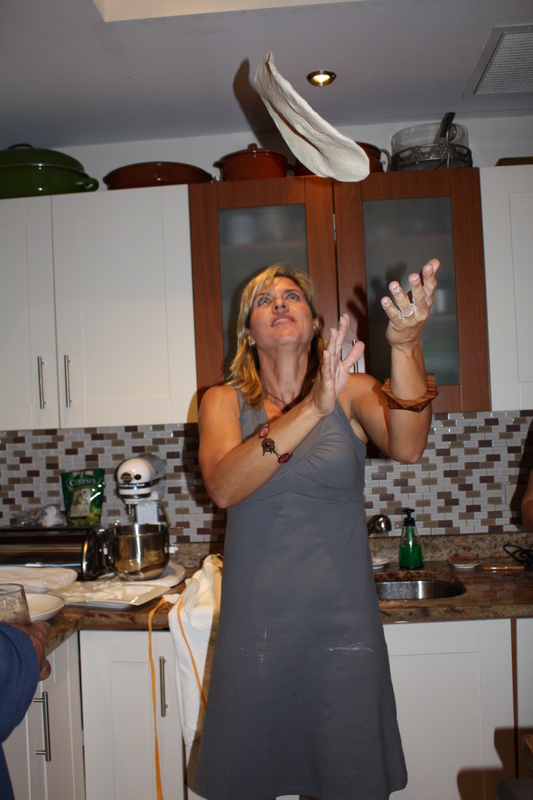 Roll the dough into a circular shape aboub 10-12 inches in diameter. 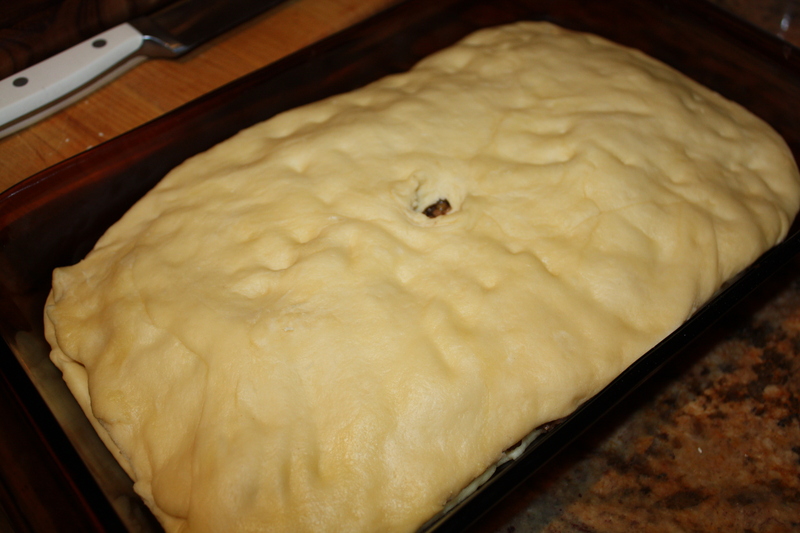 Drizzle with at least 1 tbsp of olive oil over the pizza dough spreading it with a brush, your hand or back of a spoon. 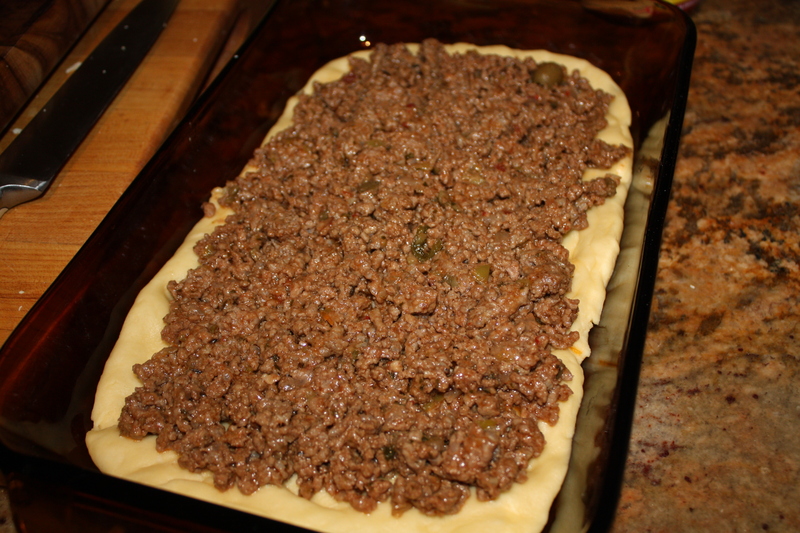 All of the surface except for an inch around the edge should be covered with a thin layer of olive oil. ( for additional flavor make a mixture of mashed garlic and olive oil to coat the pizza’s surface). This coating serves a number of purposes: it coats the dough thereby making it impermeable to the water in the tomato or other toppings. Thus, the pizza has less tendency to become soggy and to stick to the peel. Additionally, the olive oil heats faster and assists in the cooking of the ingredients. The initial topping, except in Pizza Bianca, should consist of 3-4 tbsp of crushed fresh or canned whole peeled tomatoes (see pizza sauce recipe above). This should be spread thinly over the olive oil with the back of a large spoon. 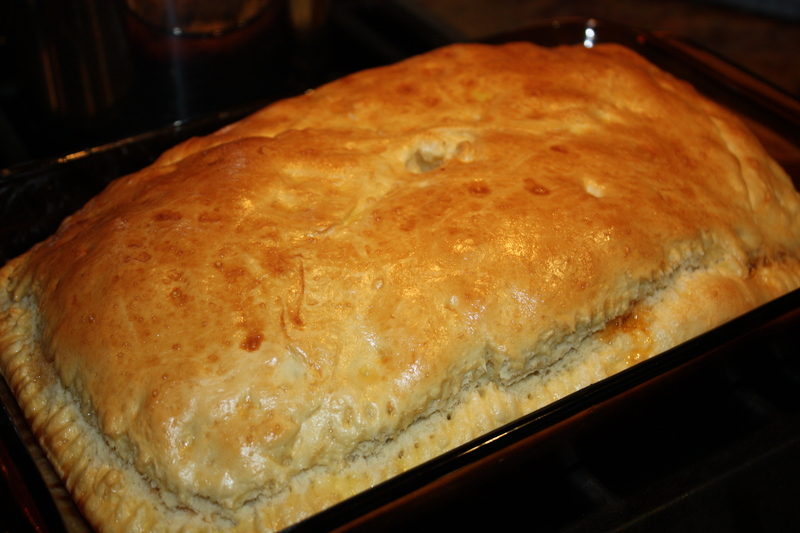 It should be thick enough for you to see the dough underneath. Toppings like cheese, sausage, mushrooms, prosciutto or anchovies, should rarely be thicker than the dough itself and should not cover the edge of the pizza base. Toppings should be added to enhance the flavor of the base not overwhelm it. I recommend you roll the dough into shape in a wooden board or marble surface but transfer it to a well dusted baker’s peel when you are going to put the toppings, so it is easier to slide on the baking stone, at least until you master this technique. Remove pizza from fire and cut into individual slices using a pizza cutter. Serve immediately. Makes 3 pizzas. You can also make whole wheat pizza by substituting amount of flour and add one tsp of sugar. You might need a bit more water. Pizza Margherita: tomato sauce, mozzarella di buffala, basil.